José was acquired from the White Sox, July 13, 2017, for four minor league prospects ... joins teammate Jon Lester as the only pitchers to start at least 32 games in each of the last six campaigns ... since joining the Cubs at the 2017 All-Star break, his 20 victories are second-most among all N.L. left-handed pitchers ... Is 70-68 with 3.60 ERA (525 ER/1,314.0 IP) in 218-career major league appearances, all but three as a starter ... Debuted with the White Sox in 2012 and went 50-54 with a 3.51 ERA (412 ER/1,055.1 IP) in 172 appearances, all but three as a starter on the South Side ... Was named a 2016 A.L. All-Star ... finished 13-12 with a 3.20 ERA (74 ER/208.0 IP) in 32 starts in 2016 ... Since the start of the 2013 season, he ranks in the top 10 among all left-handed pitchers in games started (T-1st, 193), innings pitched (3rd, 1,177.2), strikeouts (7th, 1,065) and wins (10th, 64) ... Pitched in the 2017 World Baseball Classic for Colombia ... made one start, allowing one run on just one hit in 5.2 innings pitched ... Among qualifying pitchers starting in 2013 until his trade to the Cubs, received the second-lowest run support average in the A.L. while recording the second-most quality starts (95) in the league in that span ... Is one of 21 Colombian-born players to appear in the majors all-time ... in 2013, he was recognized by the Colombian government as part of "100 Colombianos," an honor bestowed by the Colombian President every year on 100 citizens living and working abroad who serve as examples of perseverance and success for the South American nation ... Signed a major league contract with the White Sox on November 10, 2011 after being released from previous minor league stints with the New York Mets and New York Yankees ... Signed his first pro contract, April 26, 2006, with the New York Mets as a free agent. José tied a career-high mark with 13 victories as he went 13-11 with a 4.03 ERA (78 ER/174.1 IP) in 32 starts for Chicago ... allowed two or fewer runs in 20 of his 32 outings and three or fewer earned runs in 22 starts ... Reached the 30-start plateau for the sixth-straight season dating to 2013 ... was his third-straight season with 10 or more wins ... Three times tossed a season-high 7.0 innings: April 28 vs. Milwaukee (0 R), May 19 at Cincinnati (0 R) and July 22 vs. St. Louis (2 R) ... Posted a 2.71 ERA (24 ER/79.2 IP) in 14 night games ... had a 5.13 ERA (54 ER/94.2 IP) in 18 day games ... Was 7-6 with a 2.99 ERA (31 ER/93.1 IP) in 17 starts against N.L. Central opponents, his lowest ERA against any division ... Was 4-1 with a 2.13 ERA (10 ER/42.1 IP) in seven starts against Milwaukee, his most starts ever against a single opponent in a season ... had a 26.0-inning scoreless innings streak against the Brewers snapped in the third inning, June 11 in Milwaukee ... Is the first Cubs pitcher to face a team seven times in the same season since Don Cardwell faced the Giants seven times in 1961 ... Surrendered a career-high 25 home runs, surpassing the 23 he allowed in both 2013 and 2017 ... his 68 walks allowed also set a career mark ... Pitched to a 2.75 ERA (17 ER/55.2 IP) with a 4-4 record in 10 starts, April 28-June 17, after starting the season 2-1 with a 7.78 ERA (17 ER/19.2 IP) in his first four outings, April 1-22 ... Recorded his 1,000th-career strikeout April 22 at Colorado … became the first Colombian-born pitcher to reach 1,000 career strikeouts ... Did not allow an earned run in three-straight road starts, May 4-31 (17.0 consecutive innings) … tied for the most consecutive road starts with zero earned runs allowed by a Cubs starter since 1912 ... With 10 strikeouts in 5.2 innings against the Phillies, June 6, he became the first Cub to record at least 10 strikeouts in an outing shorter than 6.0 innings since Jake Arrieta on June 5, 2016 vs. Arizona (12 SO, 5.0 IP) ... Made his 200th career start, July 4 vs. Detroit, to become the 14th active lefthander to reach that mark ... allowed two runs in 6.0 innings in Chicago's 5-2 victory ... Was 3-0 with a 1.84 ERA (6 ER/29.1 IP) in five starts, August 19-September 11, walking 10 and striking out 25 while holding the opponent to a .200 batting average and a .248 slugging mark (0 HR) ... August 31 in Philadelphia, recorded his first career two-hit game at the plate ... Pitched to a 3.49 ERA (11 ER/28.1 IP) in five September starts, going 2-2 ... allowed two or fewer runs in four of the five outings, including 6.2 shutout innings, September 11 vs. Milwaukee ... Made the start in Game No. 163, October 1 vs. Milwaukee ... allowed just one run in 5.0 innings. American League Leaders: T3rd-QS (23); 5th-fWAR (4.8); 6th-IP (208.0); 7th-ERA (3.20); T7th-HR.9.0 IP (0.95); 8th-WHIP (1.16); 10th-Opp. OBP (.295); 11th-SO (181).  Tied for 10th in the American League Cy Young Award voting after establishing career bests in wins (13), ERA (3.20), IP (208.0) and strikeouts (181) in his fifth season with the White Sox … also set career lows in WHIP (1.16), opponents average (.246) and opponents on-base percentage (.295).  Reached 200.0-plus IP and 30-plus starts for the fourth consecutive season … joined Madison Bumgarner, Cole Hamels, Jon Lester, Jeff Samardzija and Max Scherzer as the only pitchers to reach those marks over the last four seasons.  Became the first White Sox pitcher to record at least 30 starts, 200.0 IP and 160 strikeouts over four straight seasons Wilbur Wood from 1971-74.  Made his first career AL All-Star team … was selected by AL manager Ned Yost to replace Cleveland's Danny Salazar.  Joined Edgar Renteria (five-time) and Julio Teheran (twotime) as the only native Colombians to make an All-Star team.  He and Chris Sale became the first Sox lefties since Gary Peters and Juan Pizarro in 1964 to earn All-Star honors in the same year.  Surrendered two earned runs or less 21 times, tied with Aaron Sanchez and Masahiro Tanaka for the third-most in the AL … his seven starts of 7.0-plus IP and one run or less allowed tied for the seventh-most in the AL.  Surrendered 23 home runs, matching his career high (2013) … allowed just 16 in 2015 (206.1 IP).  Went 7-5 with a 2.77 ERA (30 ER/97.1 IP) and 88 strikeouts over 14 starts at U.S. Cellular Field … the 2.77 home mark was the second-lowest in the AL behind Chris Archer (2.65).  Was 5-0 with a 1.56 ERA (7 ER/40.1 IP) in six outings vs. the AL West … recorded a 1.47 ERA (5 ER/30.2 IP) in April and a 1.95 mark (7 ER/32.1 IP) in July.  Went 5-2 with a 1.54 ERA (9 ER/52.2 IP), 47 strikeouts and seven quality starts over his first eight starts … allowed two earned runs or less in each of the eight starts, tied for the fifthlongest streak in club history to open a season and the longest since Gary Peters (8) in 1963 (Elias).  Received his 53rd career no decision in his season debut on 4/5 at Oakland … allowed two runs with no walks over 5.2 IP … earned his first win on 4/11 at Minnesota (1 ER/6.0 IP) … suffered his first loss on 4/17 at Tampa Bay (2 ER/6.0 IP).  Matched his career high (second time) with a four-game winning streak from 4/22-5/8, posting a 0.64 ERA (2 ER/28.0 IP) while allowing allowed one run or less in each start.  Earned the victory in his home debut on 4/22 vs. Texas, allowing four hits over 7.0 scoreless IP.  Earned his third win on 4/27 at Toronto, allowing just four hits with 10 strikeouts over 6.0 scoreless IP … struck out 10-plus for the sixth time in his career.  Worked 8.0 scoreless IP for his fourth win on 5/3 vs. Boston, lowering his ERA to 1.40 … his scoreless streak was snapped at 20.0 IP in the fifth inning on a Hanley Ramirez solo home run.  His 1.40 ERA was the lowest by a Sox pitcher through the first six starts of a season since Britt Burns (1.30) in 1980 (Elias).  Allowed one run over 7.0 IP on 5/8 vs. Minnesota to improve to 5-1 with a 1.38 ERA (7 ER/45.2 IP) … became the fifth Sox starter since 1923 to record an ERA of 1.38 or less over his first seven starts of a season, joining Wilbur Wood (1.30 in 1973 and 1.32 in 1972), Cisco Carlos (0.89 in 1967), Juan Pizarro (1.24 in 1964) and Monty Stratton (1.26 in 1937) … source: STATS LLC.  Went 0-7 with a 4.58 ERA (30 ER/59.0 IP) over a nine-start span from 5/14-6/28 … received one or no runs of support in eight of the nine outings.  His four-game winning streak was snapped on 5/14 at the Yankees despite allowing just two runs on five hits over 7.0 IP.  His season-opening streak of allowing two earned runs or less was snapped on 5/20 vs. Kansas City (4 ER/6.1 IP) … surrendered just one hit over the first five innings before allowing three runs on five hits in the sixth.  Lost his career-high fourth straight start on 5/30 at the Mets despite allowing one run on six hits over 7.0 IP … surrendered a solo home run to Neil Walker in the bottom of the seventh in the Mets' 1-0 victory … it marked the fourth time in his career he has started a 1-0 White Sox loss.  Struck out 10 batters over 8.0 IP on 6/12 vs. Kansas City but allowed a career-high tying three home runs, including two to Cheslor Cuthbert … recorded double-digit strikeouts for the 10th time in his career.  Received a no decision on 6/17 at Cleveland despite allowing just two runs on seven hits over 7.2 IP … became the first Sox pitcher to receive zero or one run of support over seven consecutive starts since Ross Baumgarten from 6/21-8/24/80 (STATS LLC). Ended his career-high, seven-game losing streak and ninestart winless stretch on 7/3 at Houston, allowing just one run on two hits over 7.0 IP … held the Astros hitless following Jason Castro's double to lead off the third inning … the win was his first since 5/8 vs. Minnesota.  Earned his second straight victory on 7/9 vs. Atlanta (4 ER/6.0 IP) despite giving up a career-high tying three homers … won back-to-back starts for the first time since 4/22-5/8 (four).  Worked a scoreless fifth inning at the All-Star Game on 7/12 at San Diego's Petco Park … surrendered a double to the Padres Wil Myers and struck out Washington's Wilson Ramos.  Extended his winning streak to three on 7/19 at Seattle after allowing one run on six hits with seven strikeouts over 6.0 IP … posted a no decision on 7/24 vs. Detroit despite allowing just three hits with one walk over 6.2 scoreless IP.  Received a no decision on 8/10 at Kansas City despite allowing just one run on four hits over 7.1 IP … held the Royals scoreless through seven innings and left the game with the White Sox leading, 1-0, and a runner on second base … Nate Jones surrendered a game-tying, RBI single to Cuthbert.  It marked the 27th start of his career where he threw 7.0-plus IP while allowing one run or less (Sox are 16-11 in those starts).  Established a new career high with his 10th win on 8/21 vs. Oakland … allowed two runs on eight hits with one walk and six strikeouts over 7.0 IP  Surrendered a season-high seven runs on seven hits with eight strikeouts over 5.0 IP in a loss on 9/1 at Minnesota … earned his 13th and final win on 9/24 at Cleveland, allowing one run on six hits over 6.0 IP. American League Leaders: 2nd in QS (25); 4th in HR/9.0 IP (0.70); 5th in BB/9.0 IP (1.92); 6th in SO/BB (4.02); T7th in GS (32); 9th in ERA (3.36) and SO (177); 10th in IP (206.1). ... Set career-high marks in IP, quality starts, strikeout-to-walk ratio and walks per 9.0 IP. ... Reached 30-plus starts, 200.0-plus IP and 160-plus strikeouts for the third straight season, joining Madison Bumgarner, Cole Hamels, Felix Hernandez, Jon Lester, Jeff Samardzija, Max Scherzer and James Shields as the only pitchers to accomplish the feat every season since 2013. ... Became the first White Sox pitcher to record at least 30 starts, 200.0 IP and 160 strikeouts in three straight seasons since Javier Vazquez (2006-08) and the first lefty since Wilbur Wood (1971-74). ... Became the first Sox lefty to make 30 starts in three straight seasons since Mark Buehrle from 2001-11. ... Received a 3.62 run support average (83 RS), the secondlowest mark in the AL and sixth-lowest in the majors. ... Went 9-5 with a 2.50 ERA (41 ER/147.1 IP) in 22 night starts (0-5 with a 5.49 mark in day games) … his 2.50 night ERA was the lowest in the AL and fifth-lowest in the majors. ... Posted a 7-5 record with a 3.16 ERA (36 ER/102.2 IP) on the road (2-5 with a 3.56 mark at U.S. Cellular Field) … his 3.16 ERA on the road was the fifth-lowest in the AL. ... Limited lefties to a .233 (42-180) average, while right-handers batted .283 (176-622). ... Did not commit an error for the second straight season, the first White Sox starting pitcher to accomplish the feat since John Danks from 2010-11 (STATS LLC). ... Recorded a 3.05 ERA (13 ER/38.2 IP) in May, 3.27 (12/33.0) in June and 2.57 (12/42.0) in July … his 1.50 ERA (6 ER/36.0 IP) in September was a career monthly low. ... Allowed 26 first-inning runs, third-most in the majors. ... Received a no decision in his season debut on 4/8 at Kansas City, allowing five runs on nine hits over 5.0 IP … extended his career winless start stretch vs. the Royals to 13.  Made five consecutive starts allowing two earned runs or less from 4/24-5/19, going 1-3 with a 2.18 ERA (8 ER/33.0 IP), 32 strikeouts and zero homers allowed (four QS) … received just eight runs of support (2.18 RSA) during the five starts.  Earned his first win on 4/14 at Cleveland (0 ER/6.0 IP) … suffered the loss on 5/1 at Minnesota despite allowing just one run on six hits over 7.0 IP … received zero runs of support. ... Made nine straight quality starts from 5/30-7/12, going 2-4 with a 2.82 ERA (19 ER/60.2 IP) and 53 strikeouts. ... Became the first Sox pitcher to make nine consecutive quality starts since Mark Buehrle from 4/27-6/16/11 (also nine). ... Made nine consecutive quality starts on the road from 5/1- 7/29, the longest by a White Sox pitcher since Jake Peavy from 7/19/11-6/25/12 (11) … went 4-4 with a 2.21 ERA (15 ER/61.0 IP), 59 strikeouts and a 3.69 RSA (25 RS) during that span. ... Earned his second victory on 5/13 at Milwaukee (1 ER/7.0 IP) … struck out 10-plus batters for the fifth time in his career. ... Snapped a four-start winless stretch on 6/10 vs. Houston, allowing just one run on six hits over 7.0 IP. ... Struck out eight-plus batters with no walks over three straight starts from 7/1-12, the first Sox pitcher to accomplish the feat and sixth in major-league history … the others: Chris Archer (5/27-6/7/15), Madison Bumgarner (7/31-8/11/15), Jacob deGrom (5/21-6/1/15), Clayton Kershaw (7/8-23/15) and Cliff Lee (9/16-27/13). ... Issued one walk over 41.2 IP from 6/26-7/24, becoming the first White Sox pitcher to issue one walk or less over a six-start span since Freddy Garcia from 5/3-31/06 (STATS LLC). ... Did not issue a walk in four straight road starts from 6/26- 7/24 … LaMarr Hoyt was the last Sox to accomplish the feat (team-record five straight from 7/1-8/7/83) … source: Elias. ... Earned the win on 7/1 at St. Louis (1 ER/6.0 IP), recording his 500th career strikeout (Randal Grichuk) in the first inning. ... Threw his first career complete game and shutout on 7/24 at Cleveland … allowed just seven hits (six hits) with zero walks and eight strikeouts (120 pitches) … retired 13 of the last 14 hitters he faced, including 10 straight in one stretch. ... Worked 7.0 scoreless IP and earned the win on 9/5 at Kansas City, snapping his 16-start winless stretch to begin his career vs. the Royals (six losses; 10 no decisions).  The winless stretch was tied for the fourth-longest by a pitcher to start his career vs. a single opponent. ... Went 2-0 with a 1.50 ERA (6 ER/36.0 IP), .207 opponents average (28-135) and 29 strikeouts over his last five starts of the season … allowed one run or less in four of the five contests. ... Received his 52nd career no decision in his last start of the season, allowing three runs on five hits over a career-high tying 9.0 IP (also 7/24 at Cleveland) … recorded his 600th career strikeout (Alex Gordon) in the ninth inning. American League Leaders: 2nd in HR/9.0 IP (0.45); T10th in starts (32); T11th in QS (21); T11th in SO/9.0 IP (8.00)...Established career bests in ERA (3.32), IP (200.1), strikeouts (178), quality starts, strikeouts per 9.0 IP, strikeout-to-walk ratio (3.42) and home runs per 9.0 IP...Reached 200.0-plus IP and 30-plus starts for the second consecutive season...Joined Mark Buehrle (11 seasons), John Danks (twice), Mike Sirotka (twice) and Wilson Alvarez (twice) as the only White Sox left-handers since 1991 to make 30-plus starts and work 200.0-plus IP in multiple seasons...Allowed three earned runs or less 25 times, tied for the seventh-most among AL starters...Tied for fourth in the AL with 12 no decisions … leads the majors with 39 ND since 2012...Posted a 3.02 ERA (36 ER/107.1 IP) on the road, compared to a 3.68 (38 ER/93.0 IP) at U.S. Cellular Field...Surrendered just 10 home runs and did not allow multiple homers in a game...Issued three walks or less 31 times and worked at least 6.0 IP 25 times … received a 4.13 run support average (92 RS), up from 3.78 (84 RS) in 2013...The Sox went 12-20 in his starts … averaged 104.6 pitches per outing (100-plus pitches 23 times)...Posted sub-3.00 ERA in July (2.20; 8 ER/32.2 IP) and September (2.60; 8 ER/27.2 IP)...Earned his first win on 4/8 at Colorado (2 ER/7.0 IP)...Endured a six-start winless stretch from 4/13-5/10...Made five quality starts during that span...Posted a no decision on 5/5 at the Cubs despite allowing just one run on one hit over 7.0 IP (retired first 14 batters faced)...Snapped the streak on 5/16 at Houston (W; 2 ER/5.0 IP)...Suffered the loss on 6/2 at Dodger Stadium after allowing five unearned runs (all in the sixth inning) over 6.0 IP … held Los Angeles scoreless on two hits over the first five frames...Issued four walks on 6/8 at Angel Stadium, snapping a 46- start streak with three or fewer...Went 3-0 with a 1.69 ERA (11 ER/58.2 IP) and 56 strikeouts over a nine-start span from 6/19-8/3 (seven quality starts), the winning streak matched his career long (second time)...Threw a career-high 20.2 consecutive scoreless IP from 6/24-7/10...Made consecutive scoreless starts on 6/29 at Toronto (7.0 IP) and 7/5 vs. Seattle (7.2) … retired the first 11 batters of the game and struck out 10 vs. the Mariners...Received four straight no decisions from 7/5-23...Recorded a 2.03 ERA (6 ER/26.2 IP) and received a 0.68 RSA (2 RS)...Posted a ND on 7/5 vs. Seattle despite working 7.2 scoreless IP...Was his seventh career outing of 7.0-plus scoreless IP without earning a win, passing Joel Horlen for the most such starts in club history...Lost on 8/13 at San Francisco (4 ER/6.2 IP) despite carrying a two-hit shutout into the seventh, umpires overturned an out call at home plate, leading to seven Giants runs...Matched his career best (third time) with a three-game winning streak from 8/31-9/19...Owned a 1.65 ERA (5 ER/27.1 IP) and struck out 29 during the stretch...Struck out a career-high 13 in a win on 9/13-1 vs. Minnesota (1 ER/7.0 IP) … joined Chris Sale (five times), Juan Pizarro (five), Jack Harshman (once), Thornton Lee (once), Gary Peters (once), and Doc White (once) as the only left-handers in White Sox history to strike out 13-plus hitters in a game...Lost his final start on 9/25 vs. Kansas City (5 ER/7.1 IP) … reached the 200.0 IP mark in that game...Agreed to terms on a five-year, $26.5-million contract with club options for 2019 and 2020 on 3/24. Led the White Sox in starts (33) and winning percentage (.563) in his first full season in the major leagues … finished the season with 200.0 IP … became the youngest pitcher (age 24) to lead the Sox in starts since Mark Buehrle in 2002 (34 starts at age 23) … joined Chris Sale (214.1 IP) as the only left-handed teammates in franchise history under the age of 25 to record 200.0 or more IP in the same season … his 3.51 ERA ranked fifth among American League left-handers … set a White Sox and AL record with 17 no decisions (Bert Blyleven owns the major-league record with 20 in 1979) … Sale (6.9) and Quintana (5.4) combined to record a 12.3 WAR, the second-highest total by a duo in the major leagues behind Detroit's Max Scherzer and Anibal Sanchez (13.0) … did not factor in the decision in more than three consecutive starts … earned six of his wins at U.S. Cellular Field … lowered his ERA from 3.71 (47 ER/114.0 IP) in the first half to 3.24 (31 ER/86.0 IP) after the break … posted a sub-3.00 ERA in July (2.79; 12 ER/38.2 IP) and September (2.80; 11 ER/35.1 IP) … limited right-handers to a .242 average (134-554), the fourth-lowest mark among AL left-handers … held opponents to a .236 average (37-157) with RISP and .178 mark (13-73) with RISP/two outs … Chicago went 15-18 in his starts … averaged 101.1 pitches per start … made 17 quality starts … left with the lead 12 times and the game tied on five occasions … recorded a career-best streak of 18.2 consecutive scoreless IP from 4/12-24 … posted a no decision on 4/12 at Cleveland despite allowing just one hit with no walks over 7.0 scoreless IP … worked at least 7.0 scoreless IP and received a no decision for the fourth time in his career (also 6/17/12 at Los Angeles-NL, 6/24/12 vs. Milwaukee and 7/5/12 vs. Texas) … threw 6.2 scoreless IP in a victory on 4/17 at Toronto … streak ended on 4/24 vs. Cleveland (W, 2 ER/5.2 IP) … received three no decisions in a four-start span from 4/30-5/16 … threw 6.1 scoreless IP in a victory on 5/21 vs. Boston … held the Red Sox hitless until David Ortiz singled with one out in the seventh inning … received a no decision in seven consecutive starts from 6/1-7/4 … joined Dylan Axelrod (five no decisions in June) as the first teammates in baseball history to each make five-plus starts in a single month and not factor in the decision in any of the games (Elias) … received a no decision despite allowing just two hits over 7.0 scoreless IP on 7/4 vs. Baltimore … it was the fifth ND of his career after working 7.0-plus scoreless IP … became the first pitcher since Roger Clemens (2005-06) to work at least 7.0 scoreless IP five times over a two-season span and receive five no decisions (STATS LLC) … also became the first pitcher in history to have five such starts over his first 39 career starts … threw 7.0 scoreless IP and struck out a career-high 11 batters on 7/4 vs. Baltimore but did not factor in the decision … snapped his seven-start winless stretch on 7/9 at Detroit, allowing three runs over a career-high tying 8.0 IP (fifth time) … earned the victory on 8/5 vs. the Yankees (1 ER/6.2 IP) … set a franchise record with his 15th no decision on 8/22 at Kansas City (3 ER/7.0 IP) … established an AL record with his 17th no decision on 9/11 vs. Detroit (7.0 scoreless IP) … the outing was also the sixth of his career working at least 7.0 scoreless IP and not receiving a win, which tied Joel Horlen for the most such starts in franchise history (STATS LLC) … snapped his five-start winless stretch with consecutive victories on 9/17 vs. Minnesota (1 ER/6.0 IP) and 9/23 vs. Toronto (2 ER/7.1 IP) … lost his final start on 9/29 vs. Kansas City (4 ER/7.0 IP). Appeared in 25 games (22 starts) in his first season with the White Sox after starting the season with Class AA Birmingham ... received 10 no-decisions, tied for the fourth most in the American League ... according to Elias, became the first pitcher in the modern era (since 1900) to work 8.0 scoreless IP three times in a season and receive a no-decision in all three outings ... was the first rookie to throw 8.0 scoreless IP or more three times in a season since Detroit's Justin Verlander in 2006 (also three) and first White Sox rookie to accomplish the feat since Britt Burns in 1980 (source: STATS LLC) ... owned a 3.97 ERA (57 ER/129.1 IP) in 22 starts and worked 7.0 scoreless IP in three relief outings ... went 4-1 with a 2.04 ERA (13 ER/57.1 IP) and a .225 (46-204) opponents average in the first half, compared to 2-5 with a 5.01 mark (44 ER/79.0 IP) and a .307 (96-313) average after the break ... went 1-0 with an 0.42 ERA (1 ER/21.1 IP) in three interleague starts ... the 0.42 mark was the second lowest in baseball (Matt Harrison, 0.33) ... induced 14 double plays and threw 10 wild pitches, tied for the sixth most in the AL ... was recalled from Birmingham on 5/7 prior to a doubleheader at Cleveland ... made his Major League debut in the first game, working 5.2 scoreless IP in relief ... became the first White Sox reliever to work 5.2 scoreless IP or more in his Major League debut since at least 1920 (STATS LLC) and the first in baseball since Minnesota's Jeff Holly on 5/1/77 vs. Detroit (7.0 IP) ... also became the first Sox pitcher to work at least 5.2 IP in his debut since Jack Mcdowell on 9/15/87 vs. Minnesota (7.0) ... was optioned to Birmingham following the game ... was recalled from Class AAA Charlotte on 5/25 for the remainder of the season (did not make an appearance with the Knights) ... earned the victory in his first career start on 5/25 vs. Cleveland, allowing two runs on four hits over 6.0 IP ... became just the third White Sox starter since 1999 to earn the win in his first career start, joining Kip Wells (8/2/99 at Detroit) and Lucas Harrell (7/30/10 vs. Oakland) ... was ejected from his second start on 6/1 at Tampa Bay (1 ER/3.2 IP) by home plate umpire Mark Wegner after throwing a pitch behind Ben Zobrist (no warnings were issued prior to the ejection) ... faced 100 consecutive batters from 6/6-29 without issuing a walk, tied for the fourth-longest stretch in baseball and the longest by a White Sox pitcher since Mark Buehrle (101) from 5/13-6/4/09 ... was charged with his first career loss on 6/6 vs. Toronto (2 ER/6.0 IP) ... won his first interleague start on 6/12 at St. Louis (1 ER/5.2 IP) ... compiled a 16.0 scoreless IP streak from 6/17-24, the sixth-longest by a rookie in Sox history ... received a no-decision on 6/17 at Los Angeles-NL despite throwing 8.0 scoreless IP ... recorded his second consecutive no-decision after throwing 8.0 scoreless IP on 6/24 vs. Milwaukee ... earned the win in his first career start at Yankee Stadium on 6/29 (6 ER/6.0 IP) ... defeated Texas on 7/5 at U.S. Cellular Field, allowing just one run on two hits (both singles) over 8.0 IP with a career-high eight strikeouts ... held the Rangers hitless over his final 4.0 iP ... worked 8.0 scoreless IP and received a no-decision for the third time on 7/19 at Boston ... made three straight quality starts to begin August ... allowed just one run and struck out seven batters over 7.2 IP on 9/10 vs. Detroit for his final victory ... went 0-2 with a 6.23 ERA (9 ER/13.0 IP) over his final three starts ... was named to the Southern League midseason All-Star team with Birmingham ... allowed three earned runs or less in all nine starts with the Barons. Went 10-2 with a 2.91 ERA (33 ER/102.0 IP) in 30 games (12 starts) with Class A Tampa in the Yankees organization ... recorded at least one strikeout in all 30 of his appearances ... limited opponents to a .236 (86-364) average ... was 6-1 with a 2.83 ERA (20 ER/63.2 IP) as a starter and 4-1 with a 3.05 ERA (13 ER/38.1 IP) in relief ... was named Florida State League Pitcher of the Week for 7/11-17 after throwing 7.0 scoreless IP with nine strikeouts on 7/15 vs. Palm Beach ... Sox acquisition recommended by Daraka Shaheed and Joe Siers. Combined to go 3-2 with a 3.26 ERA (14 ER/38.2 IP), one save and 44 strikeouts in 20 games (three starts) with rookie Gulf Coast League Yankees and Class A Charleston ... opponents batted .178 (25-140). Spent his second straight season with the Dominican Summer League Yankees, going 2-1 with a 2.32 ERA (13 ER/50.1 OP) and 80 strikeouts in 14 starts ... averaged 14.3 strikeouts per 9.0 IP. Was 3-2 with a 1.96 ERA (12 ER/55.0 IP) and 76 strikeouts in 15 games (12 starts) with the DSL Yankees ... averaged 12.4 strikeouts per 9.0 IP. Did not pitch after receiving a 50-game suspension for violating terms of Minor League Baseball's drug Prevention Program. Made his professional debut with the Venezuelan Summer League Mets. July 14, 2017 Chicago Cubs activated LHP Jose Quintana. July 13, 2017 Chicago White Sox traded LHP Jose Quintana to Chicago Cubs for 2B Bryant Flete, RHP Dylan Cease, LF Eloy Jimenez and 1B Matt Rose. May 25, 2012 Chicago White Sox recalled Jose Quintana from Charlotte Knights. May 24, 2012 Jose Quintana assigned to Charlotte Knights from Birmingham Barons. May 8, 2012 Chicago White Sox optioned Jose Quintana to Birmingham Barons. May 7, 2012 Chicago White Sox recalled Jose Quintana from Birmingham Barons. March 19, 2012 Chicago White Sox optioned Jose Quintana to Birmingham Barons. November 10, 2011 Chicago White Sox signed free agent Jose Quintana. 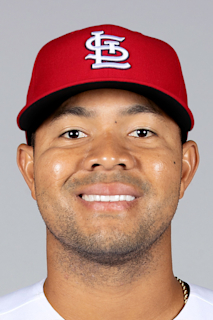 November 2, 2011 LHP Jose Quintana elected free agency. April 18, 2011 LHP Jose Quintana assigned to Tampa Yankees from Staten Island Yankees. April 7, 2011 Jose Quintana assigned to Staten Island Yankees from Charleston RiverDogs. December 15, 2010 Charleston RiverDogs signed free agent Jose Quintana. November 6, 2010 LHP Jose Quintana elected free agency. August 18, 2010 LHP Jose Quintana assigned to Charleston RiverDogs from GCL Yankees. May 1, 2010 Jose Quintana assigned to GCL Yankees from DSL Yankees2. December 31, 2009 DSL Yankees2 released Jose Quintana.